Kochi is stated as the most vibrant city of Kerala, where you can witness old culture blending with the new hip-hop culture. Shopping in Kochi is a delight for both domestic and international tourists. Though it took many years to discover the true potential of Kochi, it is now one of the fastest growing cities in India. 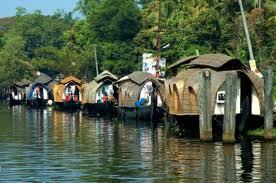 Kochi is located in the Kerala region of India which is situated in the South West of this huge country. Kerala is a really beautiful part of India and literally translates as land of the coconuts. This stunning tropical paradise can be found close to the Arabian Sea with the Western Ghat mountains close by. Kerala boasts some of India’s best beaches and resorts with dense palm groves, tranquil lagoons and dazzling white sand. Kerala is famous for its huge network of waterways known as backwaters which criss-cross the region linking rice paddies, canals, lagoons and picturesque villages. Take a boat trip to explore the beautiful landscape and see a glimpse of their traditional way of life. There are no direct flights to Kochi, India from the UK however many popular airlines such as Emirates, Qatar Airways and Jet Airways operate flights with a short transit en route. Head to Kochi and discover its interesting colonial past with its mix of fishing, ancient mosques, Portuguese buildings and the influences of the British Raj. You can find some lovely heritage accommodation here and a good selection of local art galleries. The Synagogue in Jew Town is worth a visit, built in 1568 and then destroyed by the Portuguese almost one hundred years later it was rebuilt by the Dutch. It boasts a beautiful interior with a gold pulpit, chandeliers, ornate tiles and a lovely clock tower. Off the coast of Kerala are the idyllic Lakshadweep islands, a chain of 36 tropical islands most of which are uninhabited. Visitors are allowed to stay on a handful of the islands as long as they are booked as a package trip. As well as a very traditional and unspoiled way of life, the main attraction of Lakshadweep is the unspoilt lagoons and incredible coral reefs which are very popular with divers. 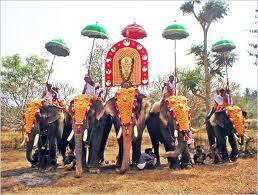 Try our superb flight comparison search facility for the best offers on cheap flights to Kochi, India. Whether you’re looking for the cheapest flights, low cost flights or even lastminute flights, we can find you the most competitive deals. Kochi features a tropical monsoon climate. Annual temperatures range between 23 and 31 °C with the record high being 38 °C, and record low 17 °C. From June to September, the south-west monsoon brings in heavy rains as Kochi lies on the windward side of the Western Ghats. From October to December, Kochi receives lighter rain from the northeast monsoon, as it lies on the leeward side. Average annual rainfall is 3,228.3 mm, with an annual average of 132 rainy days.